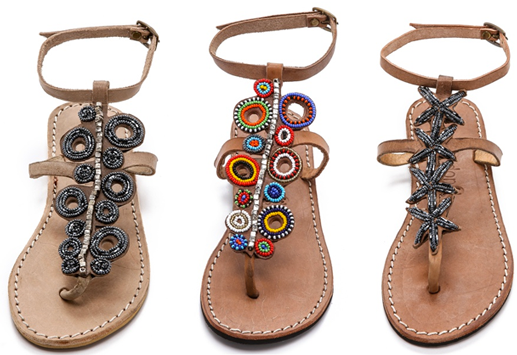 Staying on the boho-chic note, these artfully beaded sandals make the most excellent summer statement--at $80 a pop. I particularly love the colorful one in the middle. You? The colorful sandals in the middle ARE cute!